'Sandy Haven' South Side 30A Vacation Rental House in Rosemary Beach + FREE BIKES! Mills Cottage Downtown Rosemary Beach Vacation Rental House + FREE BIKES + 4 Pools! 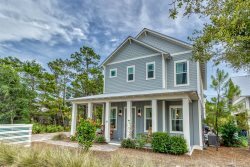 'The Savannah' South Side 30A Downtown Rosemary Beach Rental + FREE BIKES! 'Summer Cottage' Fabulous Rosemary Beach Vacation Rental Home + FREE BIKES!